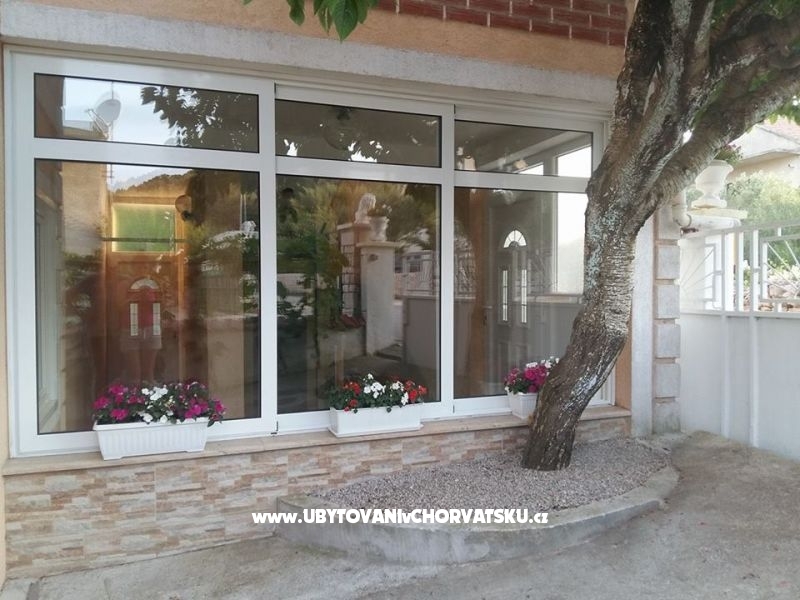 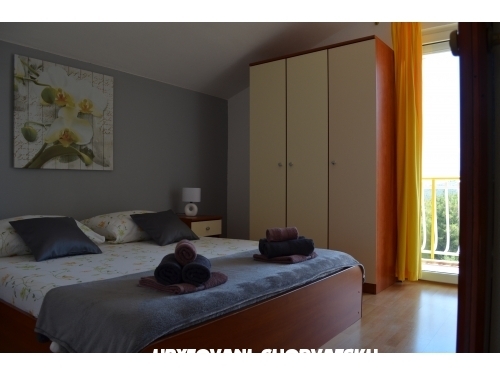 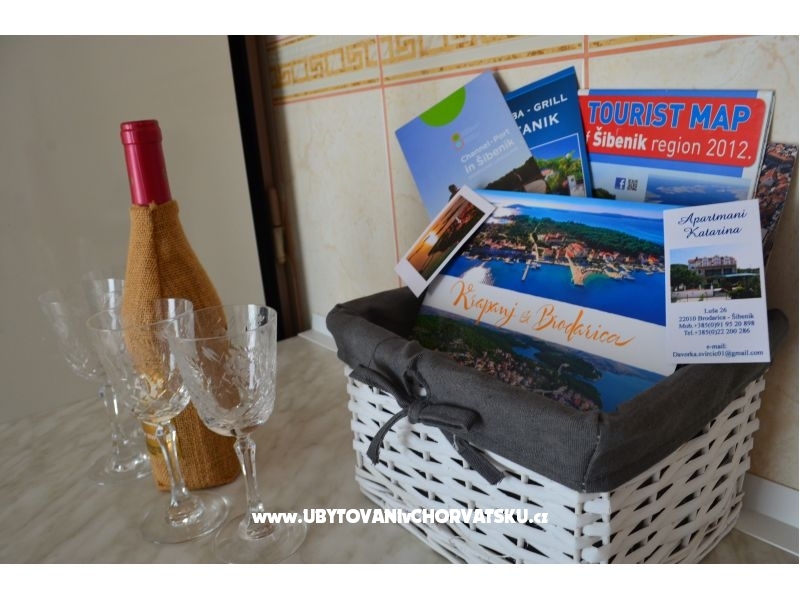 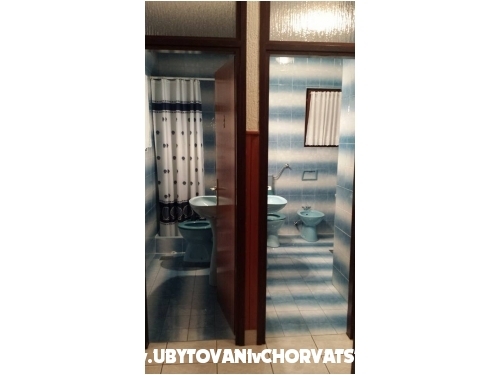 If you are interested in affordable last minute accommodation offers in the "Apartments Katarina" - Šibenik please contact the owner via the contact form at the bottom of this page. 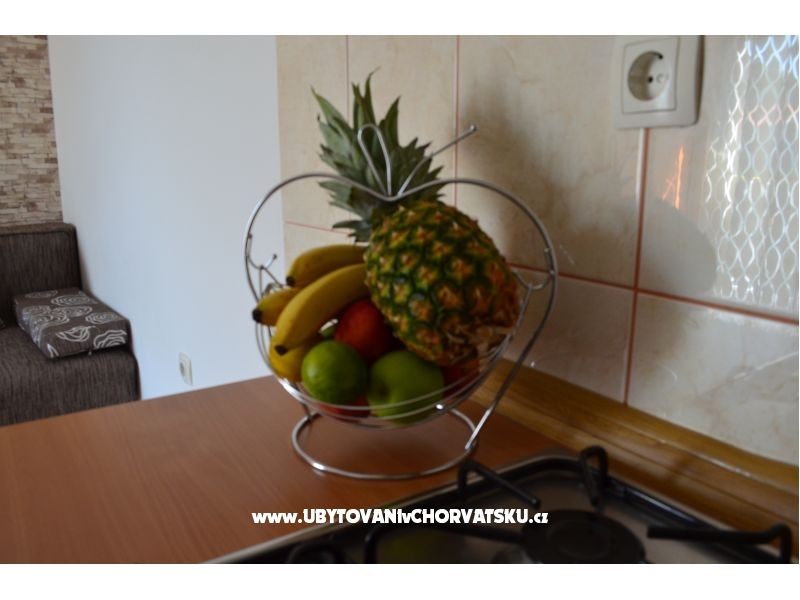 The apartment has a double bedroom, living room with bed for two adults, kitchen, bathroom and two balcony.Equipped with air conditioning, heating, satellite TV and Wi-Fi. 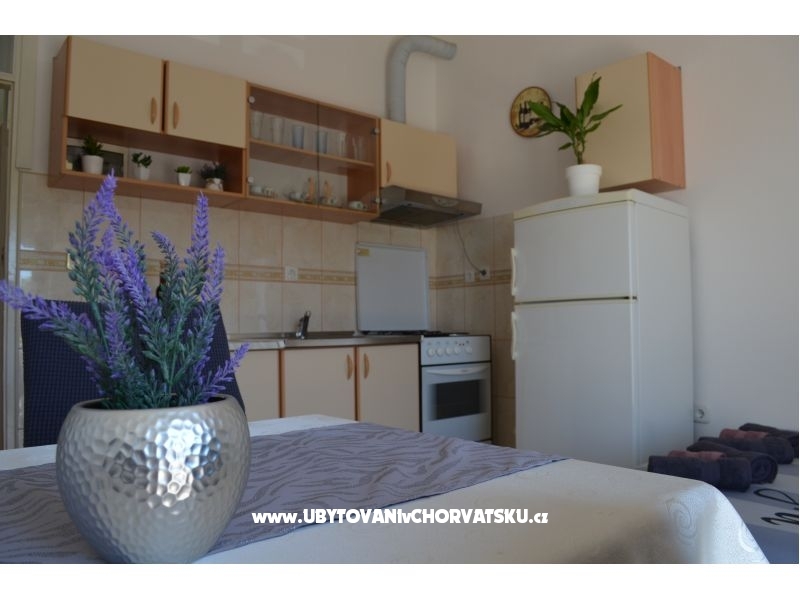 The apartment has a double bedroom, living room with bed for two adults, kitchen, bathroom and balcony.Equipped with air conditioning, heating, satellite TV and Wi-Fi. 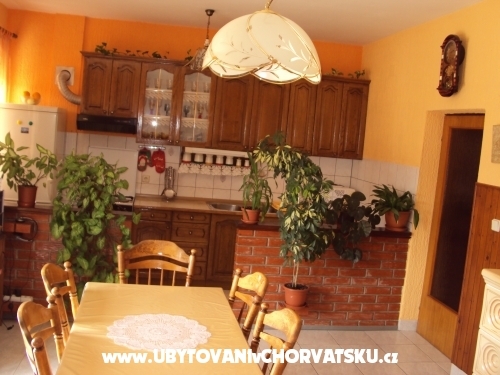 Apartments Katarina are situated on the beautiful Riviera Sibenik in Brodarica 7km from Šibenika.House is located in a quiet place with no big noise and traffic, ideal for family odmor.Apartmani are situated 100m where there is a bay with pine šumom.U There are 3 beautifully decorated air-conditioned apartments (apartment 6 + 2 and 2 apartments 2 + 2). 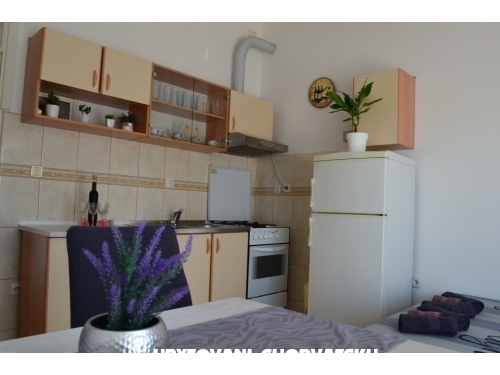 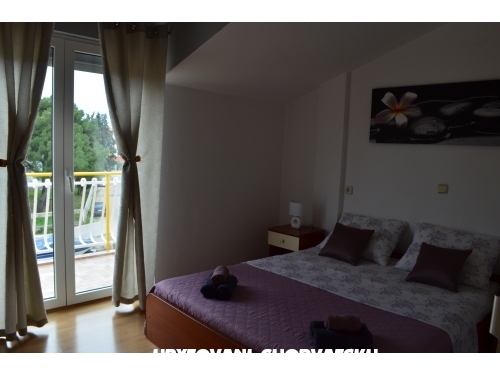 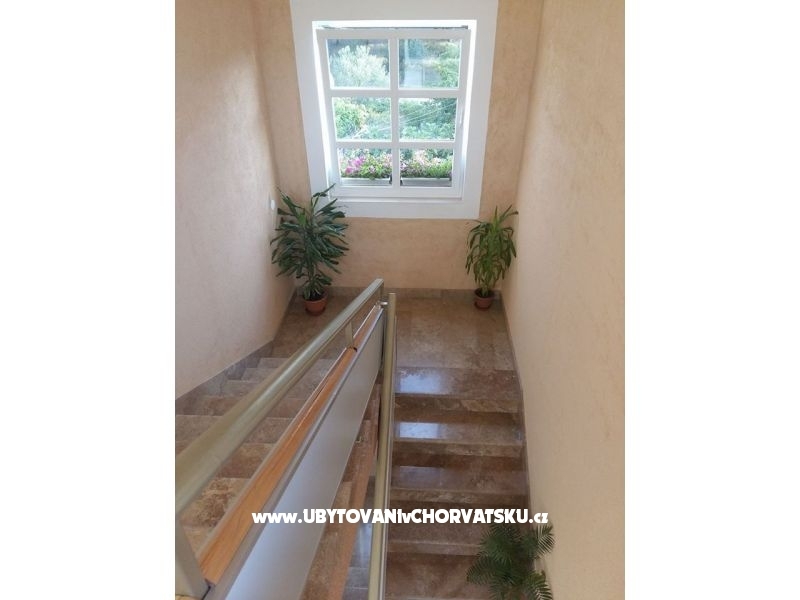 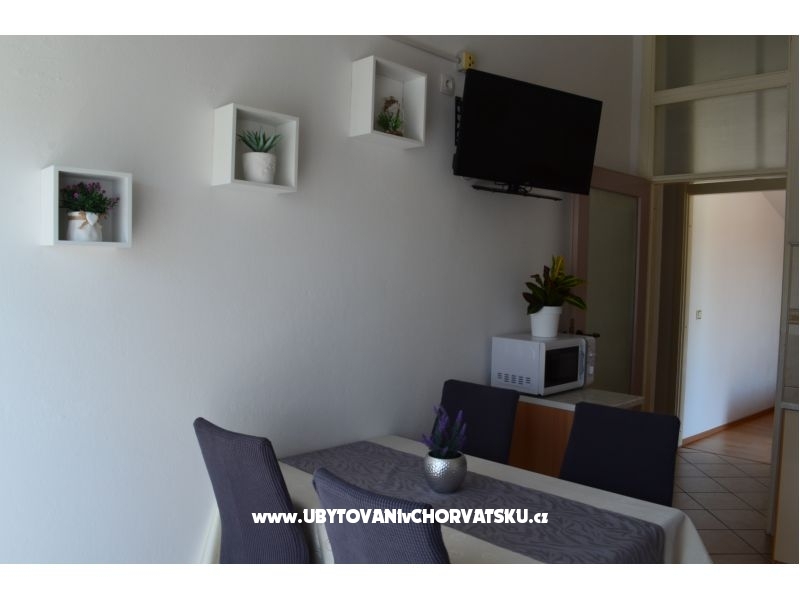 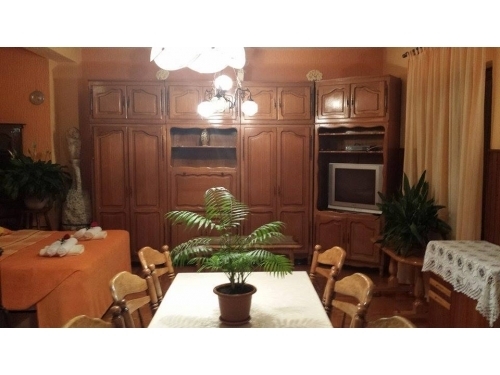 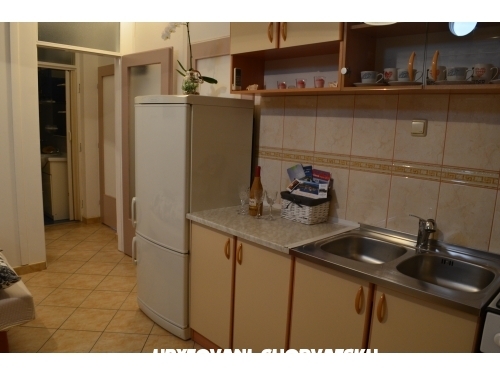 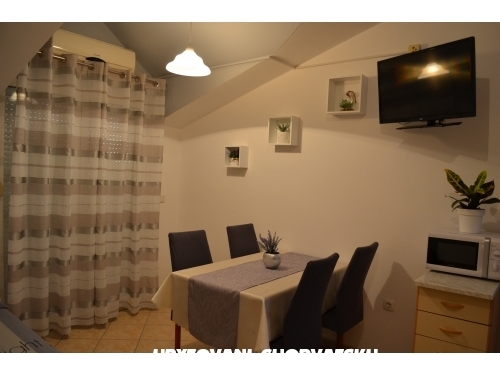 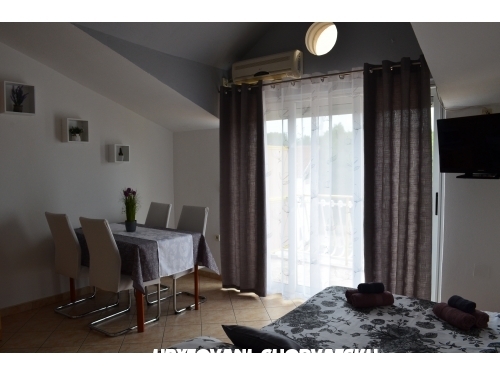 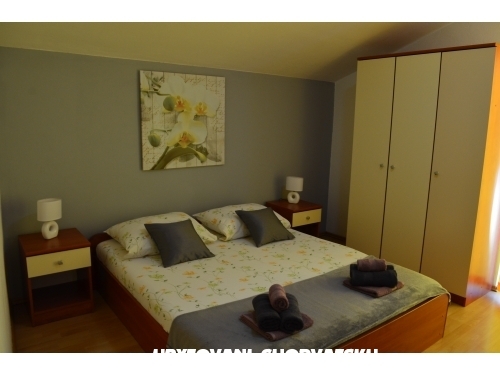 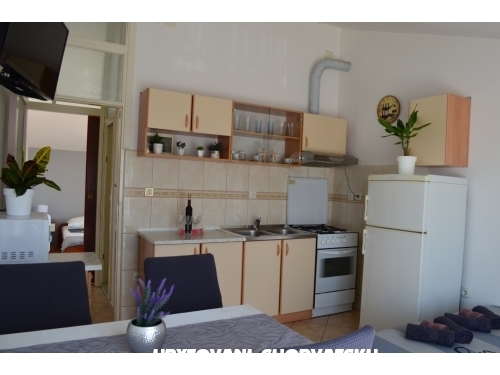 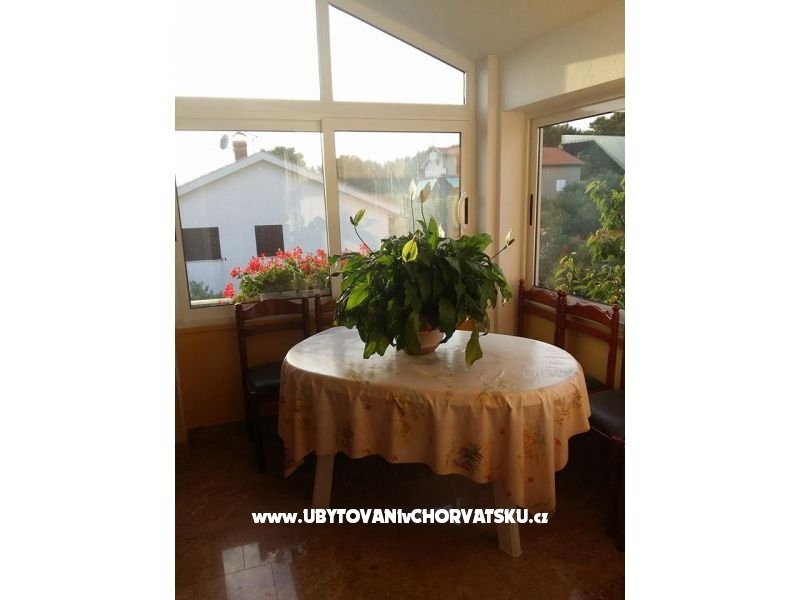 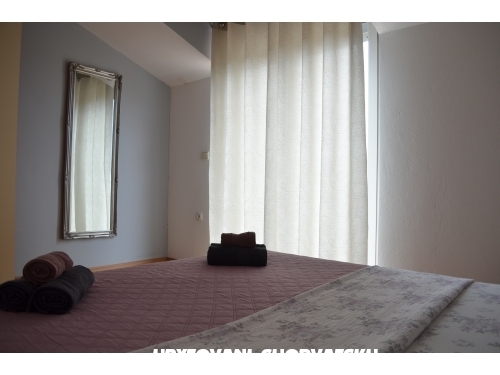 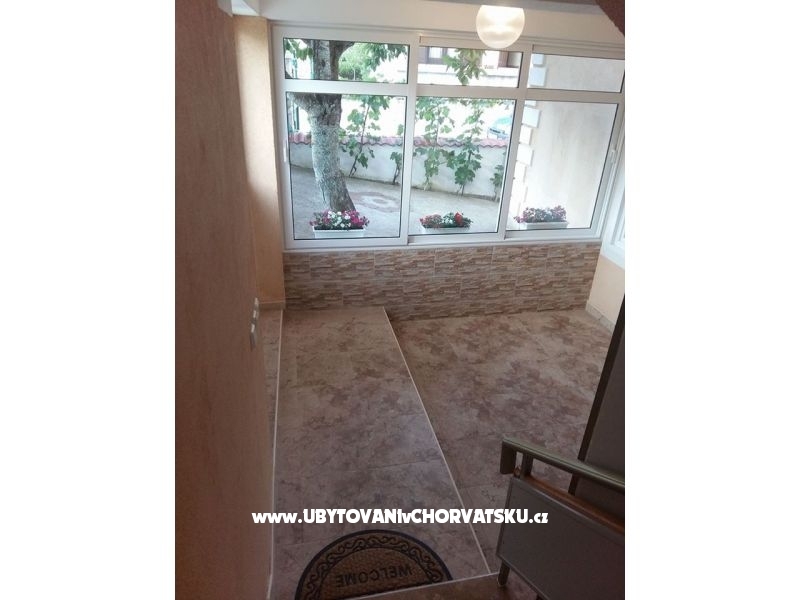 Apartment 6 + 2 is located on the first floor and comprises: 3 bedrooms, living room with a bed for 2 persons, kitchen and 2 kupaonice.Sve rooms have terraces. 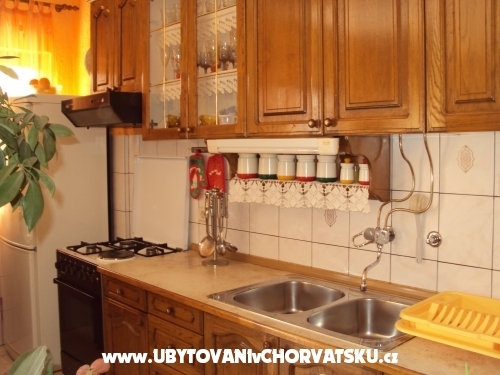 Apartments 2 + 2 are located on the second floor of the house and dispose of: bedroom, living room with kitchen, bathroom with shower and balkonom.Sva three apartments have satellite TV, air conditioning (extra charge) and internet.Parking for your car is secured in the yard as well as the use of outside roštilja.Nudimo and a boat, a free ride (trip) our boat to nearby otoka.U nearby are two national parks very nice to posjetiti.5km from home is a hotel complex with all amenities for children and adults .Area is known for its seafood restaurant and beautiful beaches.Welcome to apartments Katarina. 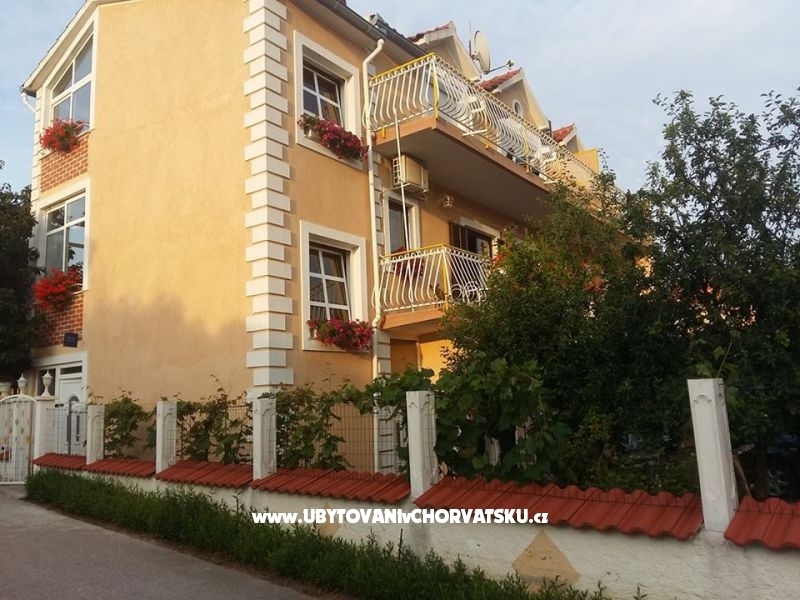 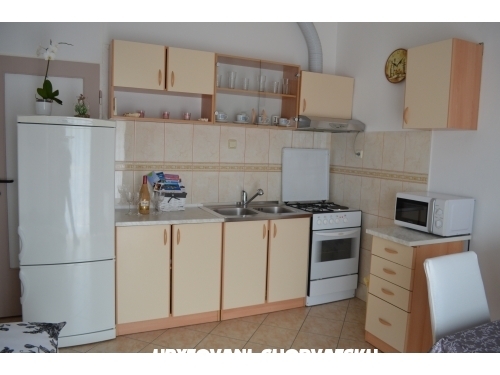 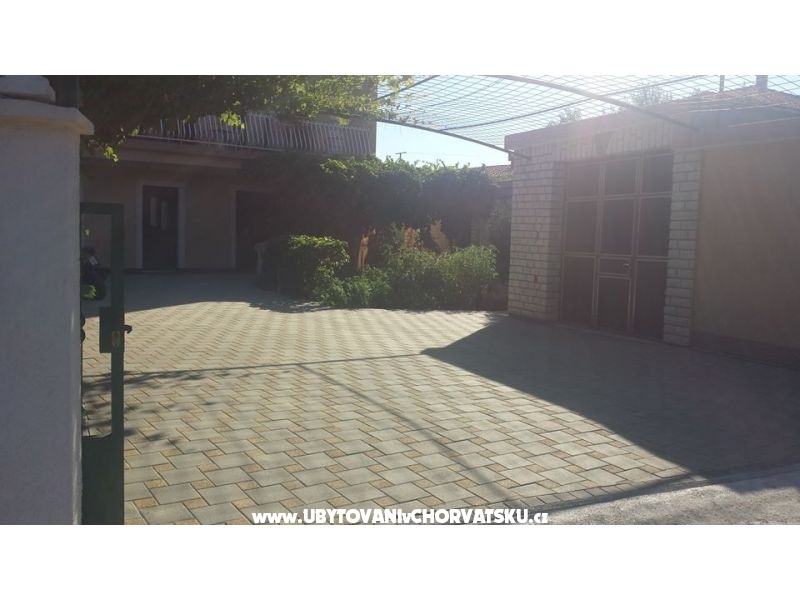 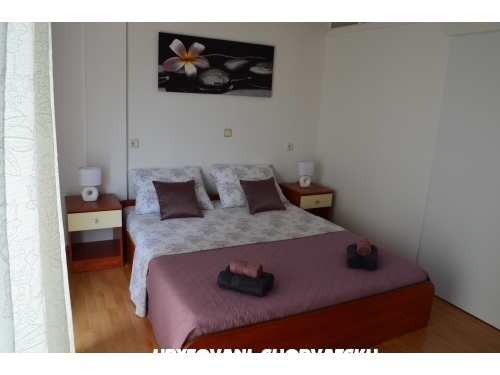 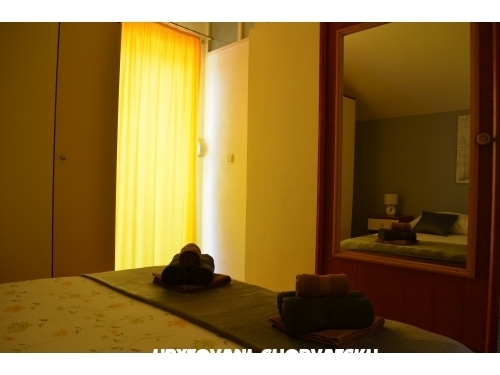 Accommodation comments and reviews for "Apartments Katarina"